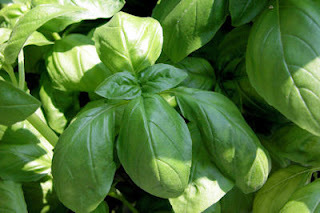 If you're growing basil in your herb patch (and we hope you are), there have been problems the last couple of years with basil blight, and this invasive threat is on the move. The East and Midwest have been affected so far, and the airborne spores of this downy-mildew pesto killer are devastating. Thanks for the info on the basil blight...we're in Utah and haven't seen this yet. Hopefully we'll be spared! Another idea for vertical growing that's even less expensive - save your empty milk jugs. I'm doing this with cucumber plants and tying them to our porch railings currently. It's kind of an experiment, so we'll see how it goes. That sounds so neat. Come back and tell us how it works out. I love cucumbers and always have plenty of milk jugs.